Missing your family, friends, and lovers? Wanna meet them? Now it's possible to meet your family, friends, and lovers without actually meeting them with all new Google duo app. Google duo is the app by Google that provides you with the best in class service of video calling. 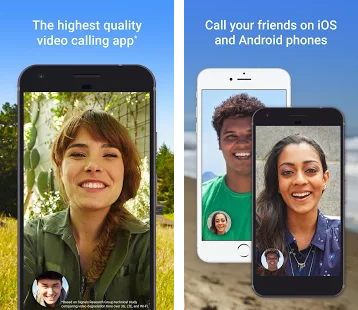 Google duo happens to be the highest quality video calling app for android/ios smartphones and tablets. Google duo performed very well in comparison with its competitors like Skype and many others are there. You will never feel apart from family, friends, and relatives if you have Google duo. It allows both the voice and video calls just on one tap. Google duo fills up the whole screen with the person whom you are chatting with and sets up the clarity according to the internet connection. No need to create or verify any account just simply registers your number. 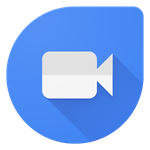 Google duo app is available on various places including play store. We provide best in class apks for better customer satisfaction. The installation will take several minutes so be humble. Open the app select country code and mention your phone number. Enjoy the app. Happy calling! !